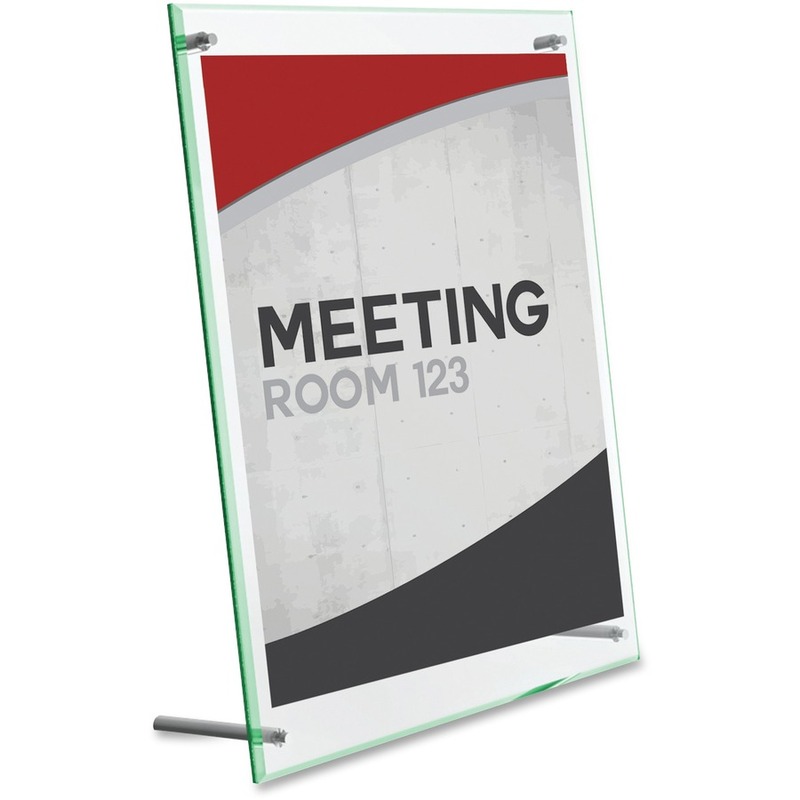 For inserts measuring 8-1/2" x 11"
Sleek, sophisticated sign holder with beveled edge features repositionable pegs that allow horizontal or vertical display. 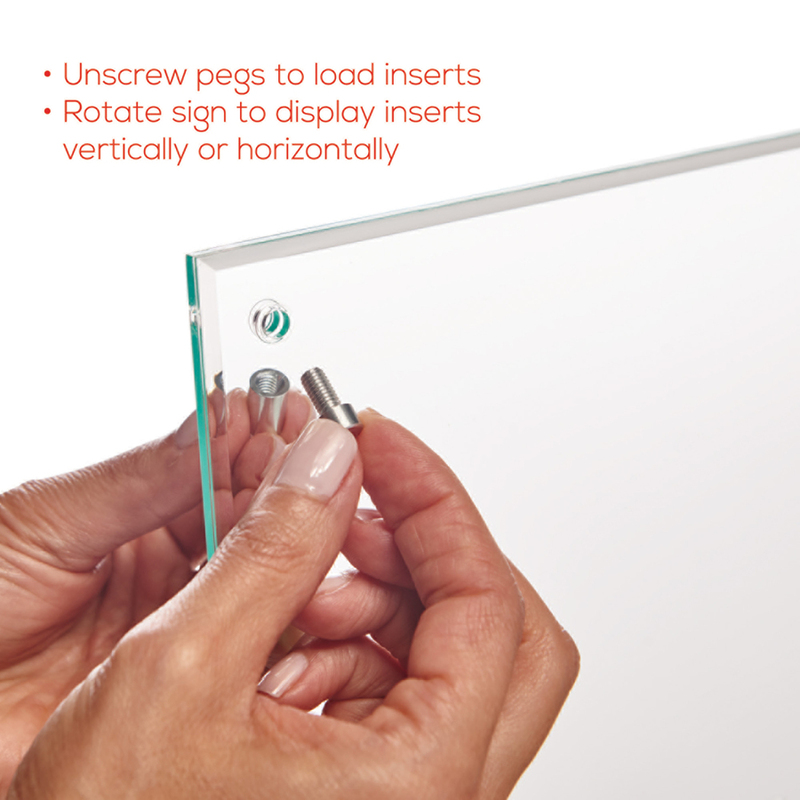 Design securely floats signage between two plastic panels. 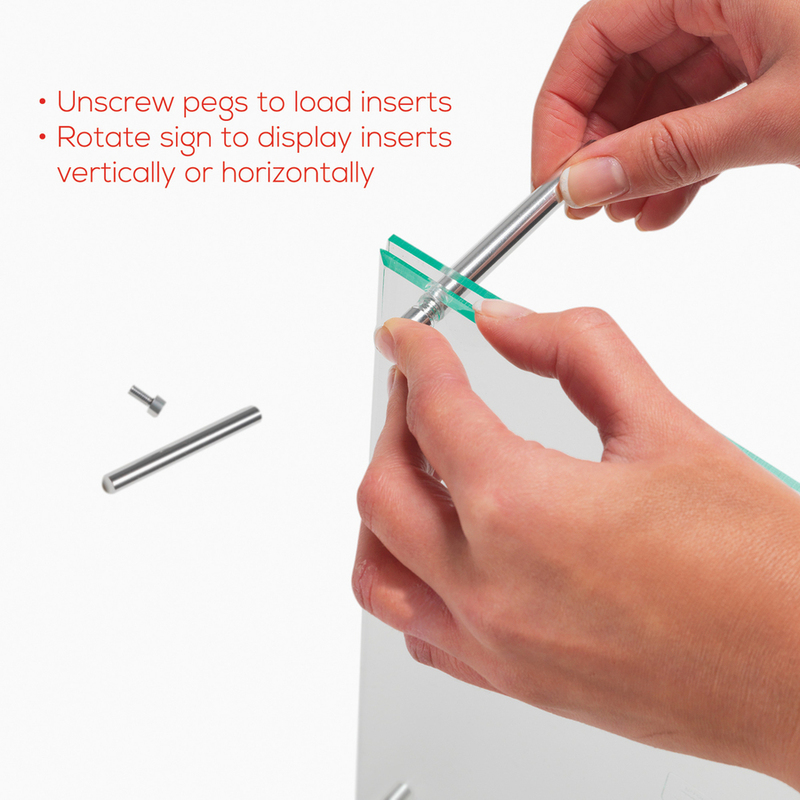 Metal knobs unscrew to easily change literature and orientation. 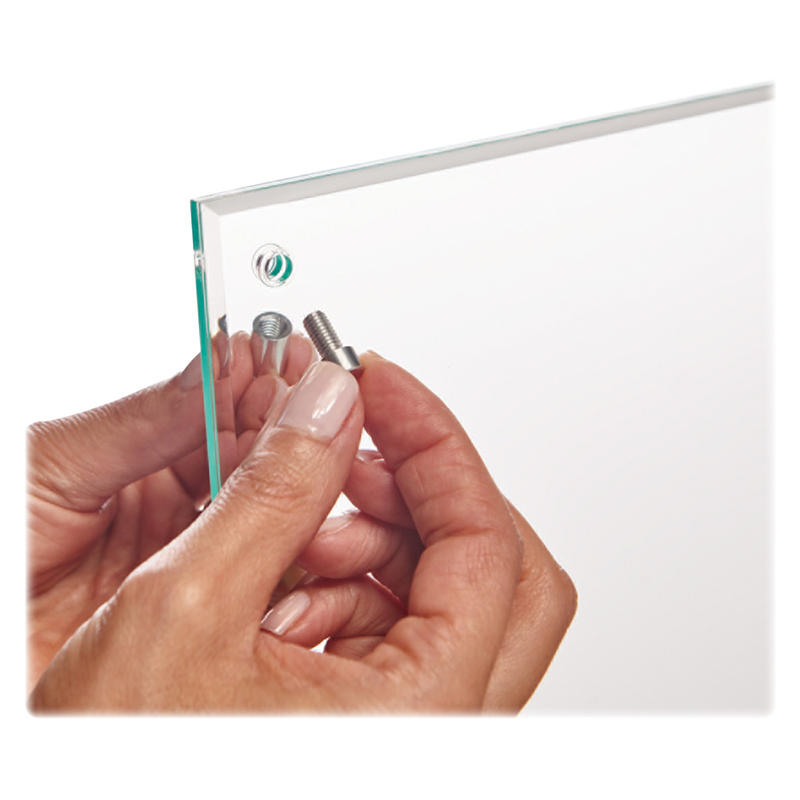 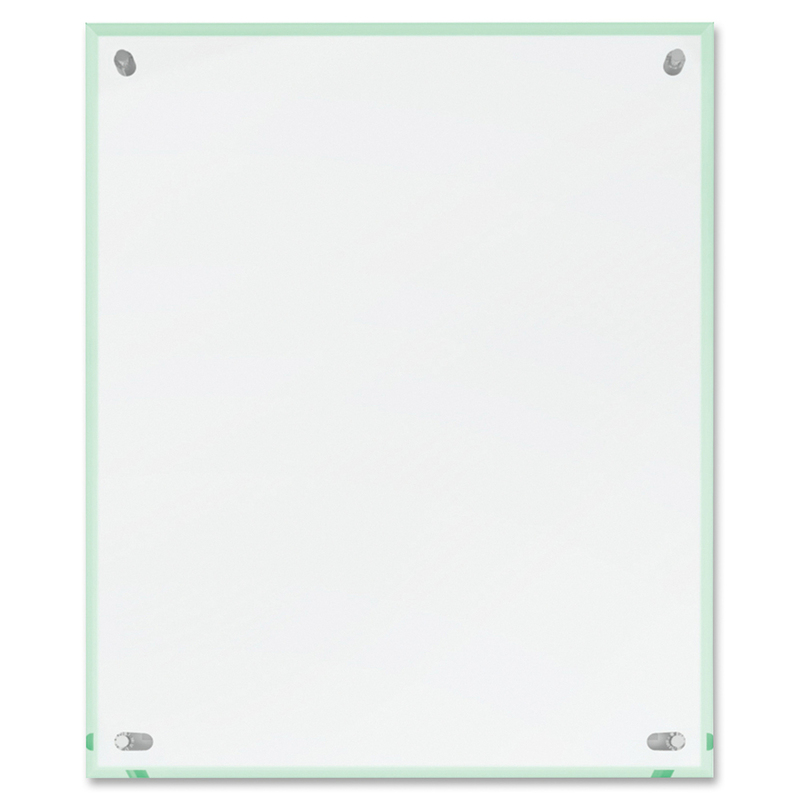 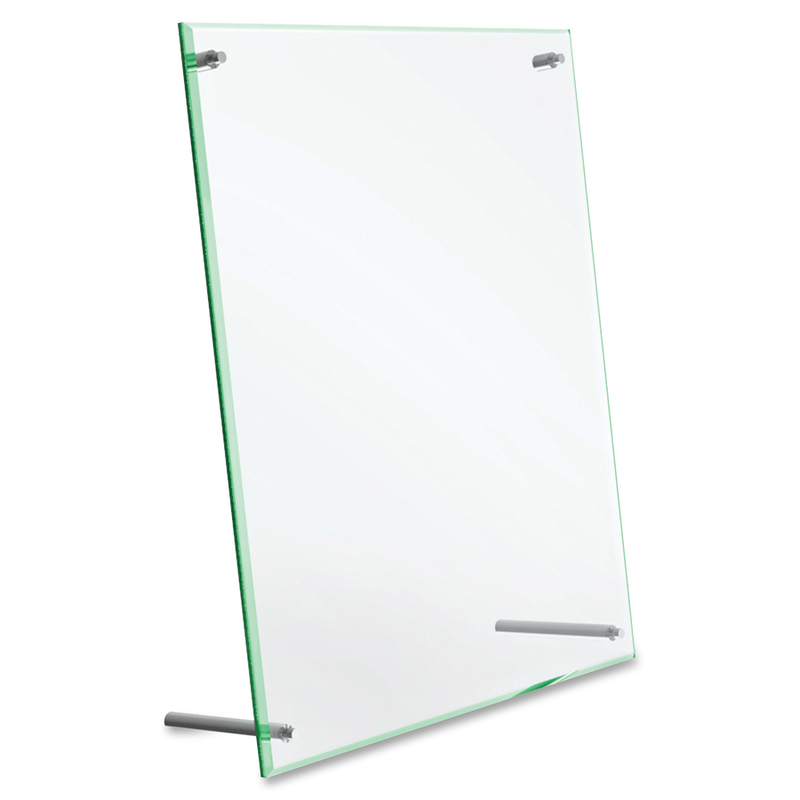 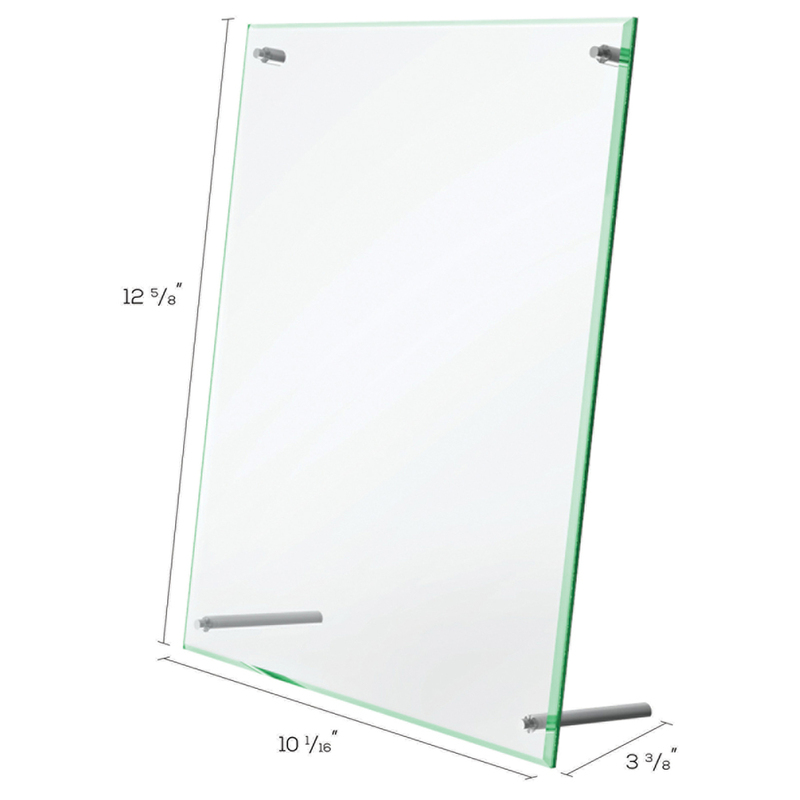 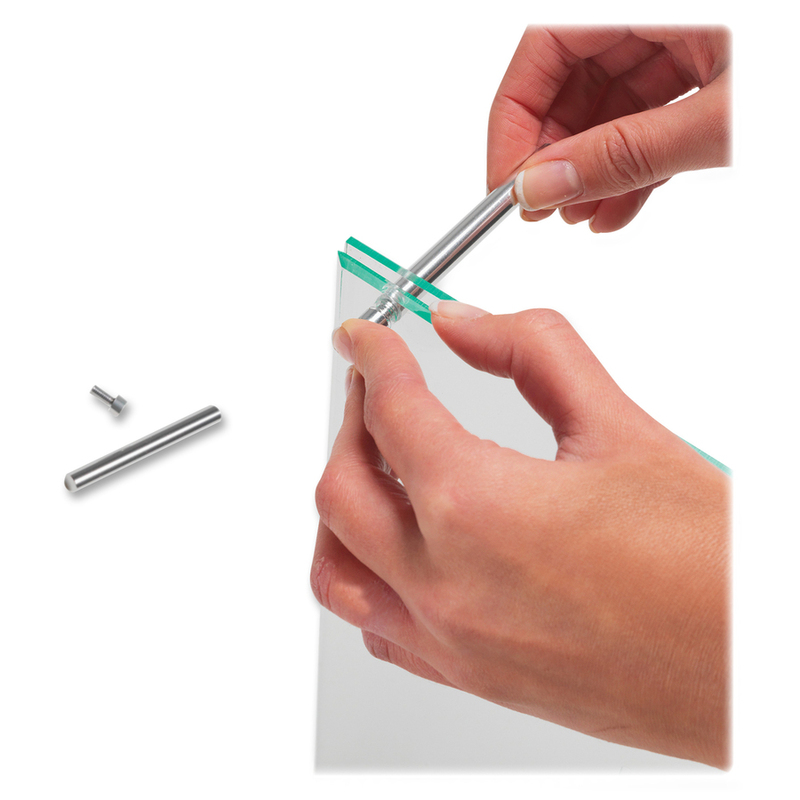 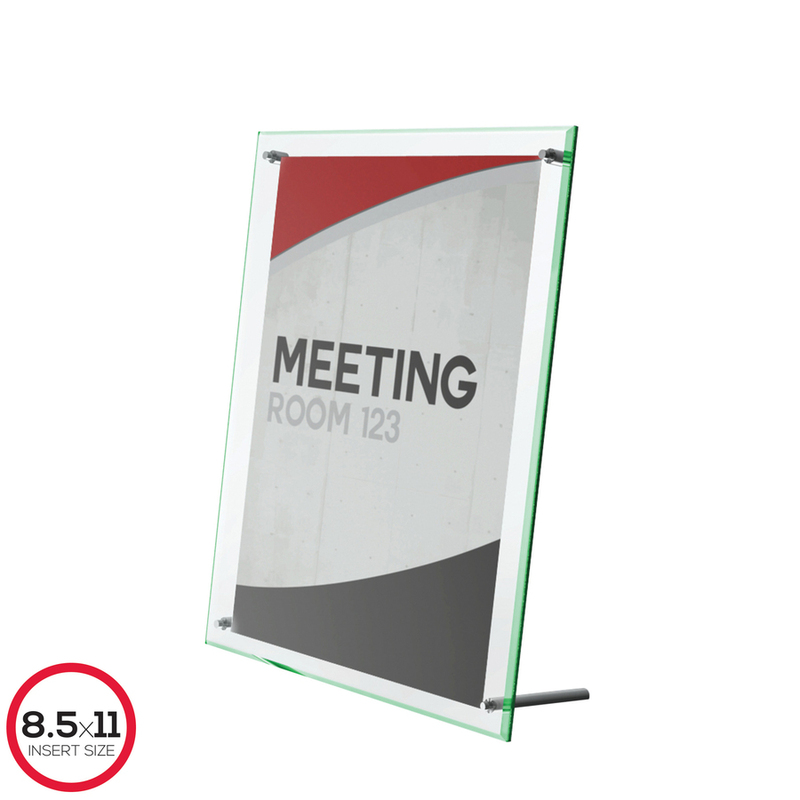 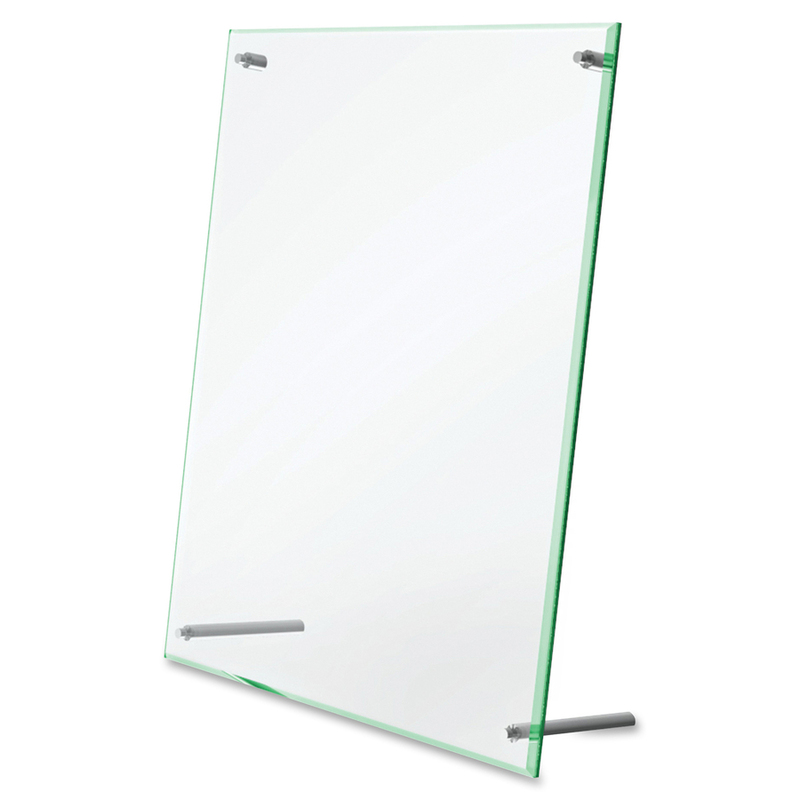 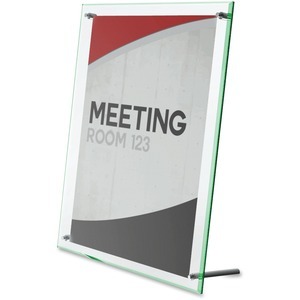 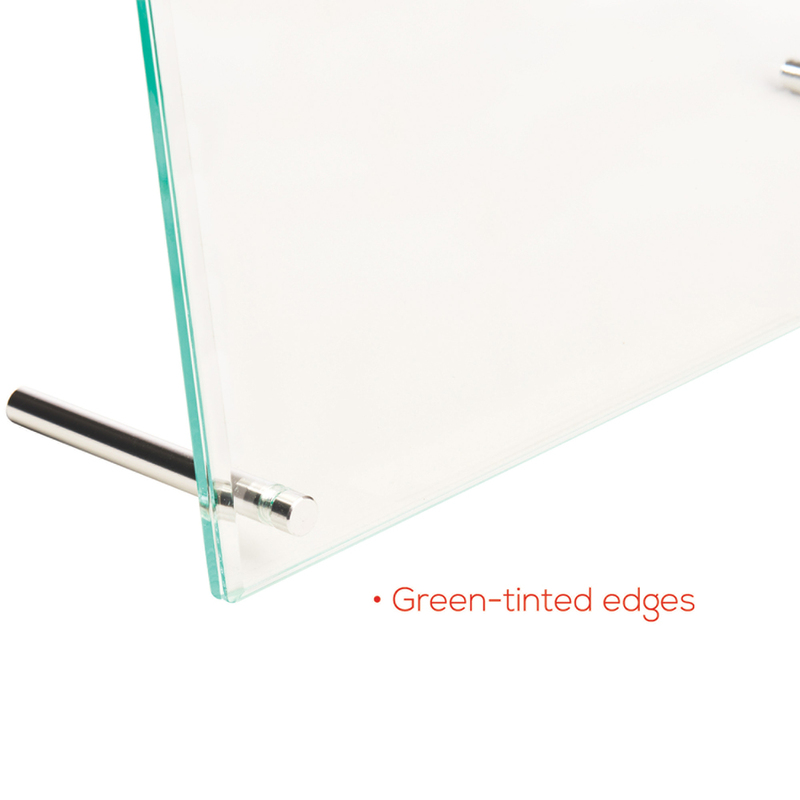 Durable, lightweight sign holder with green-tinted edges provides the elegant look of clear glass. 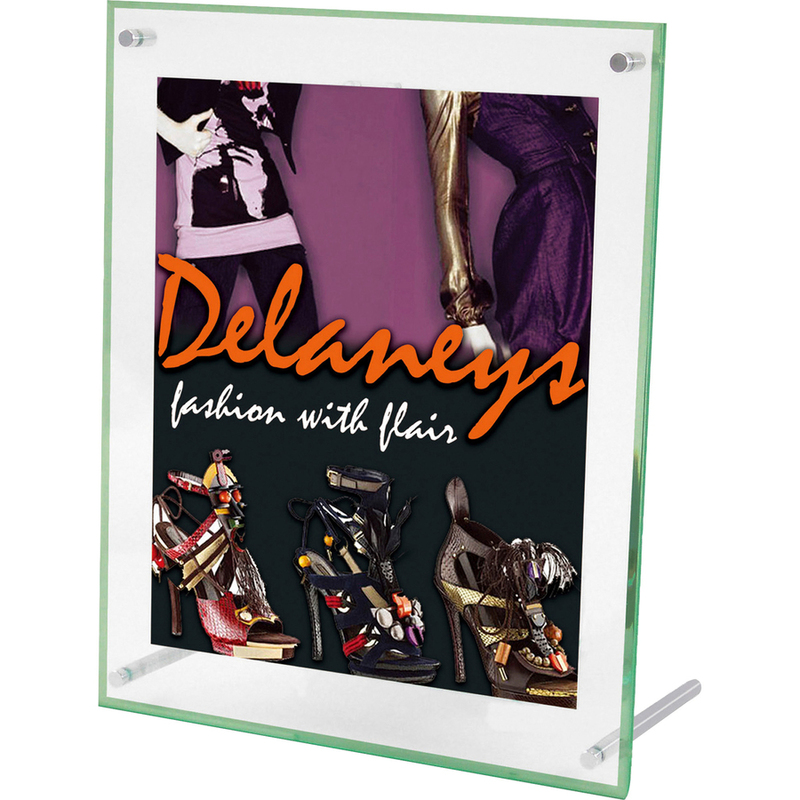 Set the freestanding sign holder on your counter for easy display. 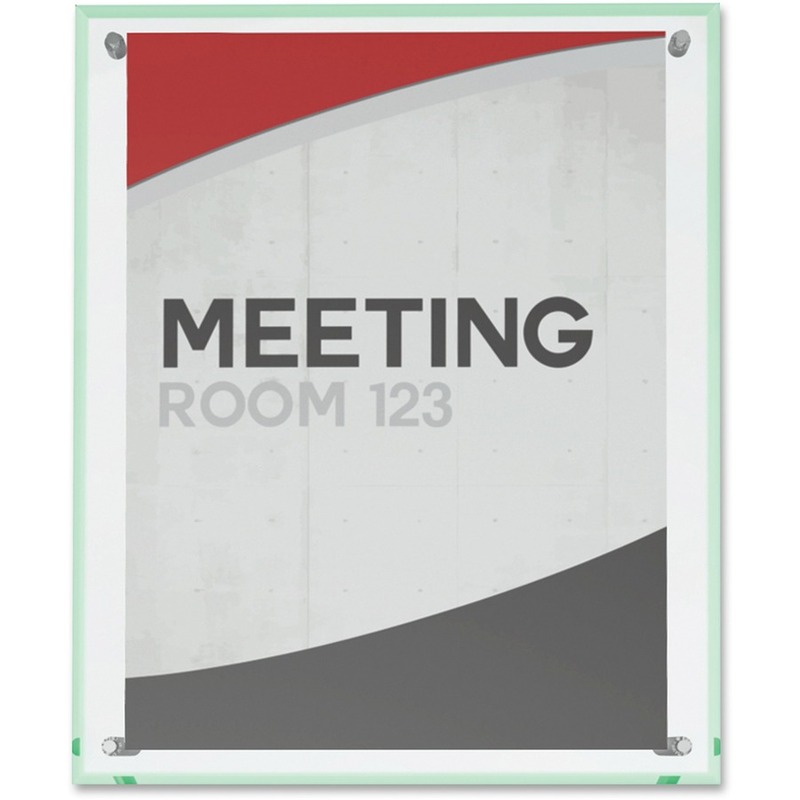 Personalize and print signs from any office using the free, online sign creator.